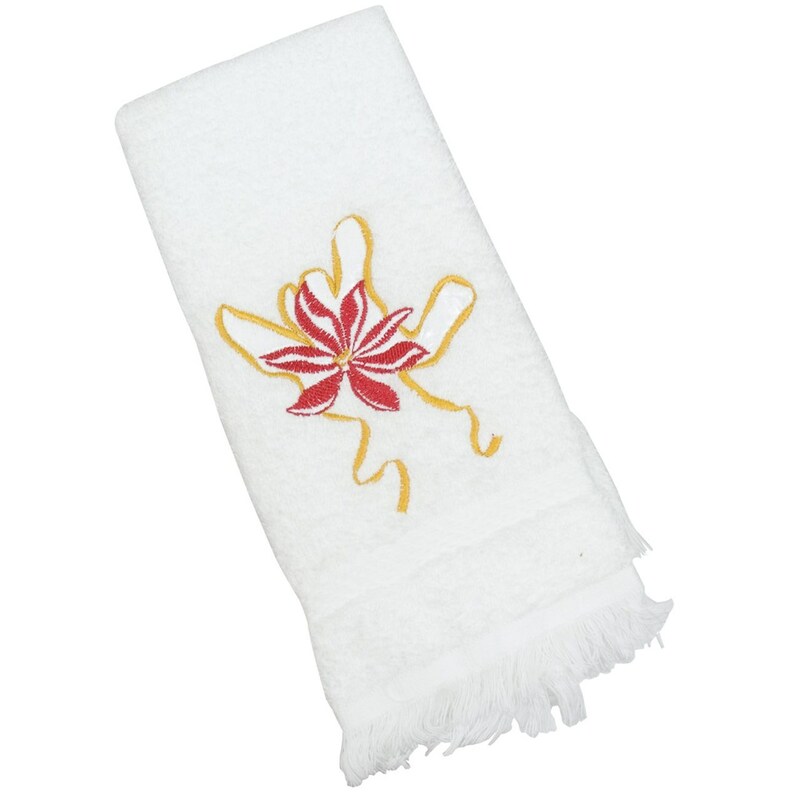 Send a warm message to family members and guests in your home during the holiday season with the Holiday Poinsettia ILY Towel This white hand towel is accented with elegant gold and red embroidery depicting a poinsettia plant blossom and a hand signing I Love You. 100 % cotton. Measures 20 Long x 13 Wide.